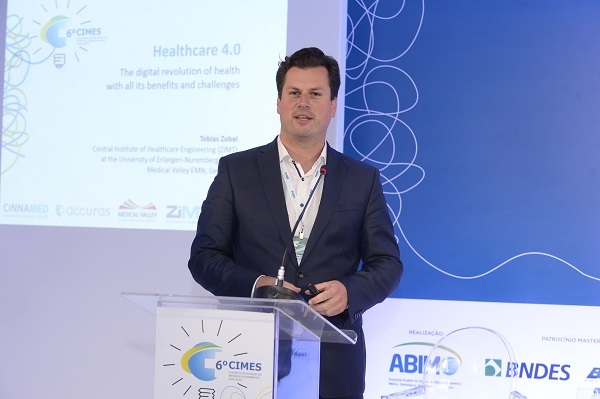 Tobias gave the keynote at the „Congresso de Inovação em Materiais e Equipamentos para Saúde“ (CIMES) for the ABIMO Association. Founded in 1962, ABIMO (Brazilian Association of Industries of Medical, Dental, Hospital and Laboratory Equipment) offers support to the health production chain. Through boards and work groups, the entity is responsible for all technical, operational and associative aspects of the segment. After all, a united industry gains more representativeness, becoming stronger and more competitive. Today, the association represents more than 330 companies nationally and internationally, and the companies associated with ABIMO are responsible for about 90% of sales in the Brazilian industry. The topic of the keynote was Healthcare 4.0 – How does the Industry 4.0 affet the health sector and what does this mean for the relationship between patients, hospitals and insurance companies? 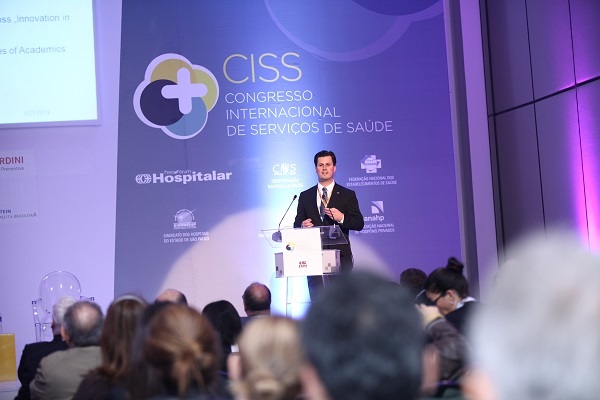 Tobias was the keynote speaker at the „Congresso Internacional de Serviços de Saúde“ (International Congress on Health Services) at the Hospitalar Fair in Sao Paulo. He spoke about structures and strategies of a cluster in the field of healthcare technology and its advantages regarding R&D projects between Germany and Brazil and market opportunities for both sides.